London is famous as a city of side streets and alleyways and conjures up pictures of deerstalker-clad detectives appearing from the fog, pacing behind top-hat adorned gents or serial killers. 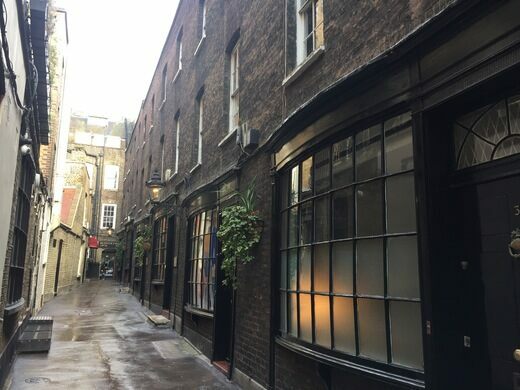 Goodwin’s Court is an excellent example of just that sort of evocative image, tucked neatly away between London’s modern, bustling boulevards. A flourishing garden with pigs, donkeys, goats, rabbits, guinea pigs, chickens, ducks, and sheep. 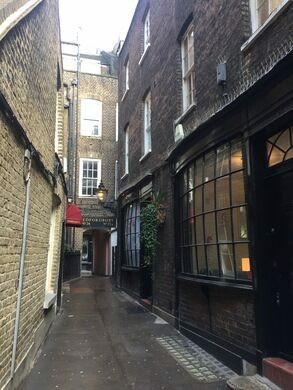 An easily missed set of steps from St. Martin’s Lane leads through a low-roofed arch and around a corner to reveal what seems to be a perfectly preserved piece of London nostalgia: a spindly stretch of ornate window fronts and gaslight lamps, akin to anything found in the pages of Charles Dickens or Conan Doyle. 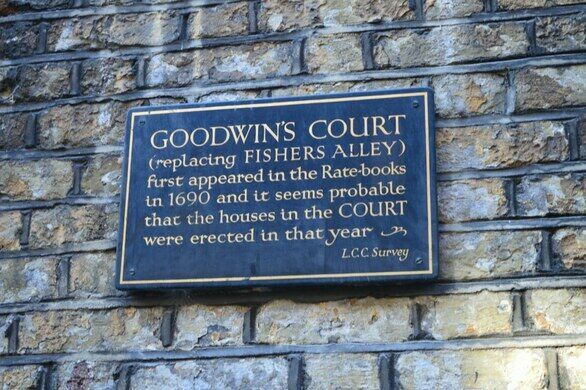 According to the nearby plaque, the well-preserved row of shops was built in 1690, predated by a passage known as Fishers Alley. It’s easy to imagine elaborate window displays, which were at the time gaining in popularity, decorating the elegant windows and catching the eyes of shoppers strolling by. When the shops slowly became increasingly unprofitable, the quaint alley was occupied by offices, and many theater and entertainment agents have taken spaces there at different points in time. Today, the doors are decorated with gleaming door knobs, knockers, and nameplates for the businesses contained within. The charming passageway now maintains a relatively secluded feel from the surrounding busy streets, serving as a scenic shortcut. Goodwin’s Court draws its fair share of local photographers and domestic TV stations in search of a unique city location. Whether viewed through the spectacles of Dickens or just straight out of the history books, it’s an excellent example of the architecture and historic charm that helps London continue to capture the imagination. Goodwin's Court is easy walking distance from Trafalgar Square and the Charing Cross Tube Station. Installed at a chaotic intersection, this gave London traffic cops a place to hang their heavy woolen coats. Colorful murals by Jean Cocteau hide within this peaceful London sanctuary. A statue of the original Pearly King is hidden in a church's crypt.